My answer: Connecting with others everyday. It’s the simplest things that bring the greatest pleasure! 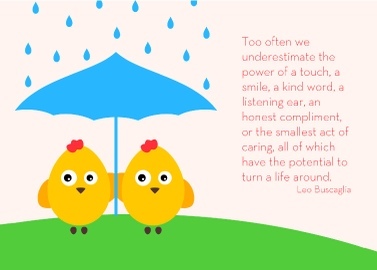 I believe the smallest acts of kindness can have such a powerful impact. You’ve got the secret…it’s about being present in the moment…that’s how we notice the opportunities…thank you! I’m with you…connecting is the best! I think that connecting with others daily, also.